As technological horizons expand rapidly and new business models emerge at a fast pace, effective IP portfolio management and comprehensive assessment of IP rights become vital business advantages. In serving our clients’ interests and supporting their commercial success in global markets, our multidisciplinary Intellectual Property team has acquired impressive experience and know-how in a wide array of IP-related matters, covering the acquisition, development, implementation, enforcement, licensing and other exploitation of IP rights, as well as advising on domestic and international patent, trademark and copyright regulatory matters. Our legal experts have also developed comprehensive knowledge in franchising issues, having advised worldwide famous brands on devising and implementing franchise networks in Romania and neighbouring countries, as well as counselled on related agreements and assessed compliance of their respective franchise structure with the Romanian legislation. Having regularly advised high-profile corporations on complex IP issues arisen from a variety of transactional matters, such as M&As, joint ventures, corporate restructurings, divestitures and IPOs, where IP was the key underlying asset, our lawyers and counsellors are highly skilled in performing extensive due diligence on IP portfolios, to identify the specific IP assets, determine ownership rights and breadth of IP coverage and evaluate the validity of the IP rights. Our team’s expertise covers virtually all areas of Intellectual Property Law, touching onto both the intricate aspects of IP non-litigation issues, and on all types of national and international IP litigation issues regarding patent protection, trademark infringement and counterfeiting, copyright, domain name disputes, as well as registered design and the enforcement of other various IP rights against third parties. Areas of practice: Competition / Antitrust & State Aid, Mergers & Acquisitions / Privatisation, Healthcare/Pharma & Intellectual Property, Dispute Resolution. The Romanian branch of one of the largest Chinese and worldwide producers of telecommunications hardware and software, in connection with a patent infringement case (including ancillary motions such as preliminary injunctions and customs interventions) brought in several jurisdictions across the world by a renowned patent troll. 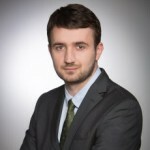 A global biopharmaceutical company and several of its subsidiaries in connection with threats concerning the launch in Romania of a generic version of a top selling HIV medicine, more than 5 years before the expiry of the patent protection thereof. A leading worldwide alliance of DYI products suppliers, in a court case concerning the continuous infringement of one of its well known Community trademarks by its former distributor, itself part of a European chain of DIY retailers. A leading Romanian-based brokerage company in connection with the negotiations leading up to the acquisition of specific brokerage software from an Indian developer. One of the most important brokerage companies in Romania in connection with the negotiations leading up to the acquisition of specific brokerage software from an Indian developer. One of Romania’s key private broadcasters, a member of a leading media group in Romania, with regard to different copyright-related matters in the relationships with cable companies, especially with the Romanian cable market leader. The Romanian branch of the most reputed private global initiative for humanitarian aid to children in respect of different contentious matters concerning the infringement of its exclusive trademark rights. The local subsidiary of the world’s largest cosmetics company, in several disputes concerning the infringement of its luxury division trademarks by Romanian entities via unauthorized import and the sale of counterfeit products. The largest Romanian retailer of motor vehicle spare parts in connection with the import of independent after-market spare parts for motor vehicles, from the perspective of the new legal framework enacted by the legislator governing the penalties imposed in relation to the sale of counterfeit spare parts. One the world’s largest developers of consumer electronics, computer software, online services, and personal computers in respect of the intellectual property rights-related aspects entailed by the launch of the Romanian services of its on-demand music and video store, one of the largest in the world. The leading Romanian music record labels in a dispute concerning the obligation to pay to collective societies the music stamp duty, applicable to each record sold in Romania. A leading European telecommunications provider in connection with the protection of its trademark portfolio in Romania against third party infringements of its well-known and highly distinctive color trademark and other trademark families, with a special approach and particular focus, given the rebranding of its Romanian subsidiaries as of mid-September 2014. One of the most reputed German producers of machinery used in the wood processing industry for the purposes of securing protection over its patent portfolio in Romania. A major Romanian FMCG producer in two disputes regarding the infringement of its trademark designating the leading brand on the Romanian seed and nuts market, as well as the industrial design and model related to such trademark. The global healthcare company that conducts innovative research and manufactures products for human health in respect of the registration with the national patent and trademark authority of several trademarks serving as lead message bearers in a promotional campaign for anti-vertigo innovative medicines. Our mandate covers the entire registration procedure and the liaison with the national patent and trademark authority. A leading Latvian innovative pharmaceuticals group with regard to several trademark-related disputes engaged against generic companies trying to obtain registration of confusingly similar trademarks for their generic products. A leading European broadcasting group in respect of providing legal assistance and representation in what concerns all copyright issues involving the Client’s activity as the third largest private TV broadcaster in Romania. One of the leading pharmaceutical companies in Central Eastern Europe in respect of several research mandates concerning the protection enjoyed in Romania by different European or international patents. A non-profit professional association established by the music producers as counsel for matters pertaining to the collective management of copyright in Romania. One of the world’s leading innovative medicines producers based in Switzerland with respect to the protection of its patent and trademark rights, including drafting, submitting and representing the client before the Romanian courts in preliminary injunction requests and patent infringement court actions. Our work also involved drafting and filing the intervention application with the relevant authorities, as well as upholding the client’s IP rights before a number of regulatory authorities against several companies. One of the world’s leading innovative medicines producers based in the US in respect of the entire array of intellectual property aspects entailed by the internal restructuring process, currently undertaken further to the acquisition of the European-based pharmaceuticals player. 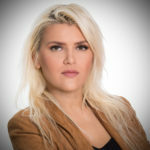 A giant player in the field of cosmetics based in France in connection with a complex litigation concerning trademark infringements by an Israeli cosmetics producer using a trademark identical to the one protected in favor of our Client. One of the European national bodies in charge with regulating French agricultural products with Protected Designations of Origin in respect of an opposition procedure against the registration of the Patrimonio indication of origin as a national trademark by one of the leading players on the Romanian wine production market. One of the most important worldwide producers of seeds and other agricultural products in respect of the IP issues concerning the protection of plant varieties in the context of the internal restructuring of the group. Retained by one of the top tier producers of originator medicines worldwide based in Switzerland in connection with the protection of several of the group’s trademarks and patents that are also valid in Romania. One of the world’s leading producers of innovative medicines used in the treatment of psychiatric diseases, based in Denmark, in respect of the enforcement of its patent rights in Romania. Further representing the client in both patent annulment cases initiated by generic companies, and in court proceedings referring to its patent infringement by other companies. One of the leading financial institutions in Belgium in the litigation proceedings against a Romanian-based insurance company, following a material trademark infringement by the latter. A giant player on the Romanian beer market, with respect to various IP rights-related matters following the acquisition of Romanian beer producer. One of the world’s leading telecom providers, based in Germany, in proceedings against the infringement by a Romanian entity of its trademark rights in an on-line reality show and the registration with the Romanian Trademarks Office of a trademark confusingly similar to the one held by our Client. A prominent international sport organization and its Romanian branch in several disputes that concern the infringement by third parties of the IP rights of our Clients over the Olympic Trademarks and Symbols, protected in their favour by the Olympic Charter. Representing a major Romanian FMCG producer in two disputes regarding the infringement of its trademark, as well as the industrial design and model related to such trademark. 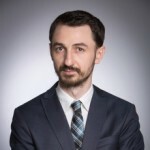 A giant provider of Internet search engine services provider in respect of copyright-related issues concerning the revision of its current labour law framework applied to its employees in Romania. Our work consisted in providing tailored advice in respect of the clauses to be inserted in the labour agreements, so that copyright resulting from the work of the employees be protected in favour of our Clients. A leading Swedish machinery manufacturer in respect of trademark infringement proceedings against its former Romanian distributor. Various retail companies in connection with the structuring and implementation of a franchise network in Romania and in the neighboring countries. One of the leading UK designers in respect of a trademark infringement case initiated against a Romanian company counterfeiting its products and placing such counterfeits on the Romanian market. 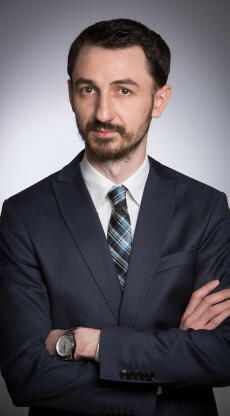 One of the most reputed Romanian TV producers and publicists in connection with the protection of copyrights associated with various TV production agreements and literary works editing agreements with one of the most reputed Romanian publishing houses. One of the world’s leading producers of medicines based in the UK, following the acquisition of the largest private pharmaceutical group of companies in Romania in one of the first pharmaceutical patent-related infringement proceedings in Romania. 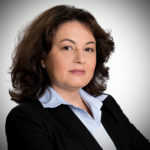 The firm has also successfully represented the client in legal proceedings (both interlocutory injunctions and main case) for the protection of its a trademark against another European pharmaceutical company, in a case relating to unlawful import in Romania of counterfeit medicines under the same trademark. One of the world’s leading producers of medicines based in the US in court proceedings involving the cancellation of the registration of a trademark confusingly similar to an International Non-proprietary Name (INN) for a pharmaceutical substance produced and traded by the company. Various retail companies in relation to administrative and legal proceedings (as well as out-of-court negotiations) for the purpose of removing from the Romanian market counterfeit goods bearing, embodying or incorporating our clients’ trademarks or technologies. International electronics producers and retailers in acquiring the rights over inventions created by its employees in Romania. A luxury hotel in Romania, with respect to its affiliation to an international hotel chain via the implementation of a franchise agreement, following the undertaking of a complex assignment involving an exhaustive due diligence, drafting comprehensive supporting documentation and negotiating the franchise contract (a novelty for the international hotel chain in Europe). An international paints and varnishes producer in relation to the registration of a number of trademarks with the Office for Harmonization in the Internal Market and the State Office for Inventions and Trademarks, respectively, and rendering legal representation services and advice in connection with the oppositions raised as a result thereof. A leading Romanian NGO focused on leadership programs in respect of the protection of its IP rights connected with the materials and presentations prepared by different Romanian and foreign personalities lecturing at such courses and trainings. The leading UK dance music magazine before the Romanian courts in a trademark annulment case, as well as during the oppositions and appeals lodged before the national patent and trademarks authority for preventing the registration of confusingly similar trademarks. An international cable and satellite operator in relation to obtaining copyrights directly from the producers or from the Romanian copyright protection bodies. Furthermore, we assisted the client in respect of the launch and broadcast of various TV advertisements, advising on the enforcement of IP rights in relation thereto, as well as opining on the compatibility of said advertisements with the rules and principles of comparative advertising law and trademark dilution. An international organisation for disaster relief and sustainable development cooperation, in connection with the protection of its IP rights against the illegal use of trademark and domain name by a Romanian association active in the humanitarian field. A leading American company specializing in audio noise reduction and audio encoding/compression with respect to the counterfeit goods of a Romanian consumer electronics playerfeaturing, bearing, embodying or incorporating its intellectual property rights. One of the oldest post-communist Romanian cultural magazines still appearing in print edition, on pro bono basis, in respect of different copyright aspects. One of the leading film studios in the world based in the US in relation to copyright protection over the Romanian translations of a well-known trilogy, developed as theatrical motion pictures. The leading English university press trust on the copyright and related rights regulatory framework in Romania. One of the most popular Romanian pop artists in a complex litigation concerning an infringement of his copyright over a musical piece.